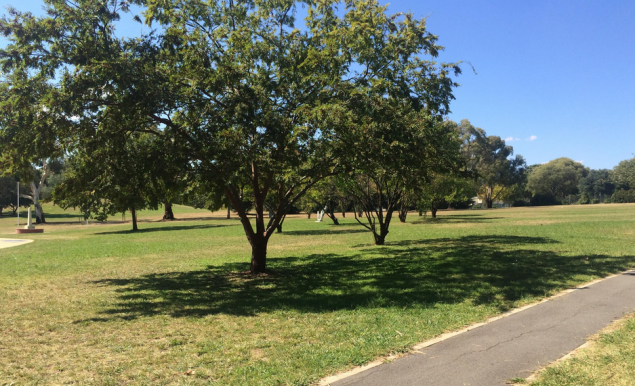 Woden’s Eddison Park is a slice of Canberra’s history, taking its name from the family who farmed the land in the early 1900s. The area now provides wide green spaces for families to enjoy, including a playground. This week, Kaden (18 months) and I went to explore this park and enjoyed the leafy green spaces it has to offer. 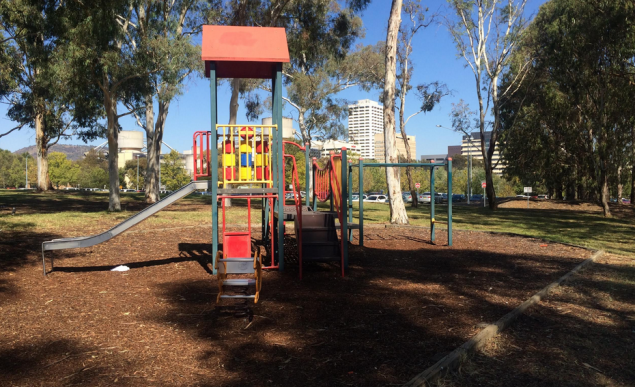 Eddison Park is relatively easy to locate and is just across the road from Woden bus interchange. For those in cars, two-hour parking is provided. Before hitting the play equipment, Kaden and I took a short walk through Eddison Park to look at the memorials and monuments. Eddison Park is also home to a duck pond (not looking very healthy or populated at the moment), outdoor gym equipment, a skate park and sheltered picnic areas. 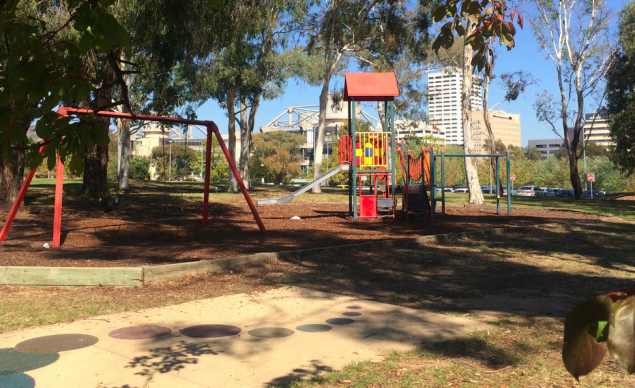 The main playground is situated next to a BBQ area with drinking water onsite, bins and toilets nearby. There is another playground closer to the skate park, but this was not open at the time of writing due. The main playground has a swing-set, slide, tower and parallel bars, as well as a covered play area and wobbly bridge. Surrounded by beautiful established trees, this playground keeps play experts cool and shaded from the sun. 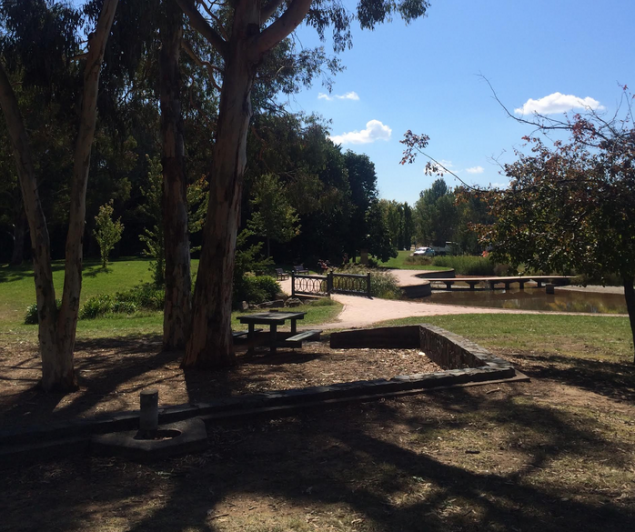 Nearby ledges and picnic tables provide the perfect vantage point for parents and guardians. Wide open green spaces, a touch of history and a swing set! My expert was in playground heaven! The toilets are a fair walk to allow yourself some bladder space before making the trek. Other than that, we loved our time on the revamped Eddison farm! Recommended for: Anyone and everyone who enjoys being outside and a bit of local history! Children aged 0 – 6 years.